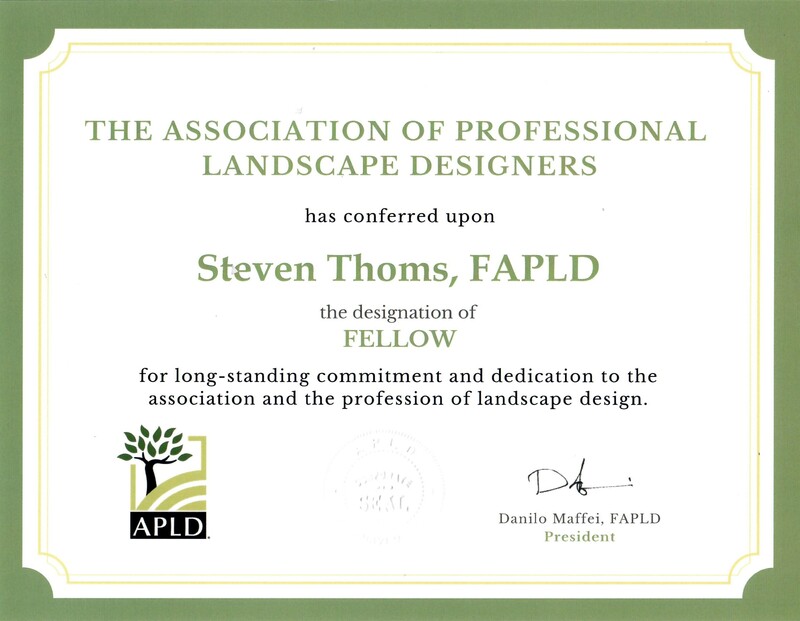 Our chief designer, Steven D Thoms, CGIP, FAPLD, LIC, a Internationally Certified Landscape Designer has earned is Fellow Status from the Association of Professional Landscape Designers. 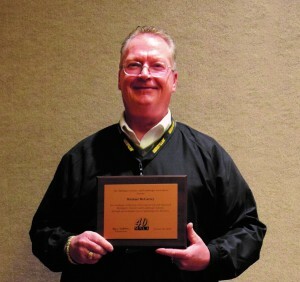 Steve is the founding member the Michigan Chapter and the immediate past president. 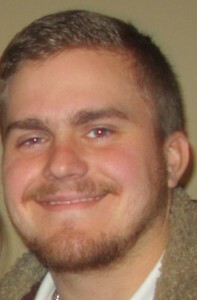 He is currently serving as the Secretary and Sponsorship Chair. 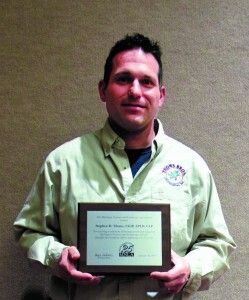 He has been a member of the APLD since 1991 and Certified since 2003. 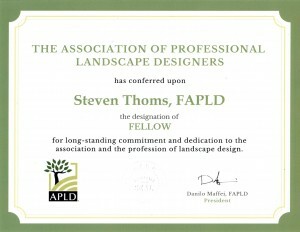 The Association of Professional Landscape Designers, founded in 1989, is dedicated to advancing the profession of landscape design and to promoting the recognition of landscape designers as qualified and dedicated professionals. 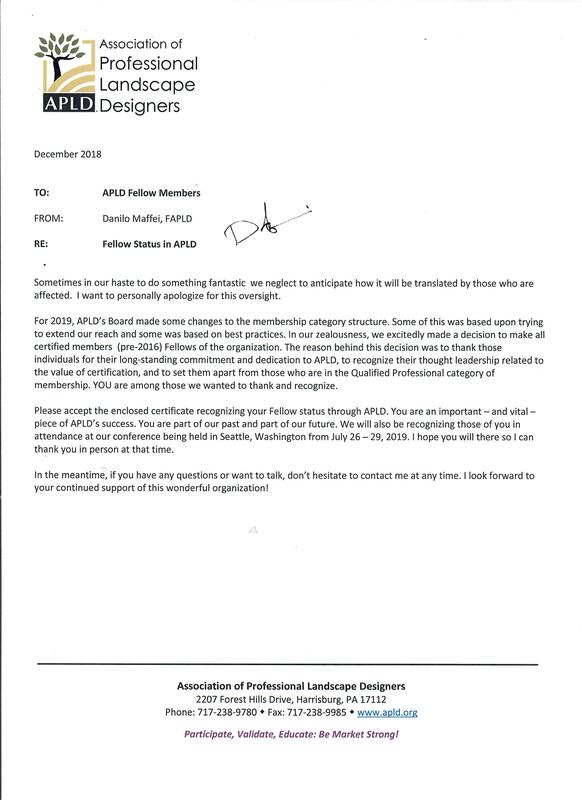 APLD encourages all members to adhere to a code of professional standards, to actively participate in continuing education and to be current with state-of-the-art developments and trends throughout the field. The association also offers its members a certification program based on built projects that provides professional recognition to those designers who can pass a rigorous peer review program. Our certification process is to evaluate the candidates’ submitted work. It is not an educational curriculum. 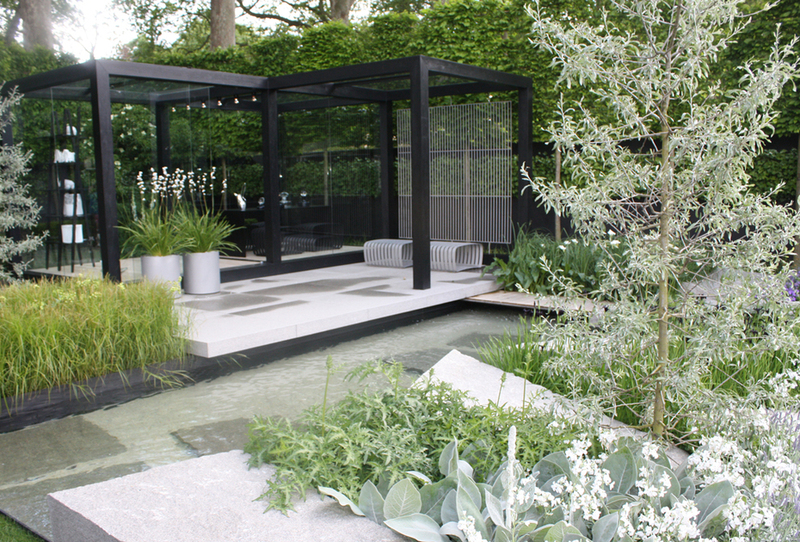 The submission consists of three installed projects and requires drawings, plant list, design intent statement and photographs. 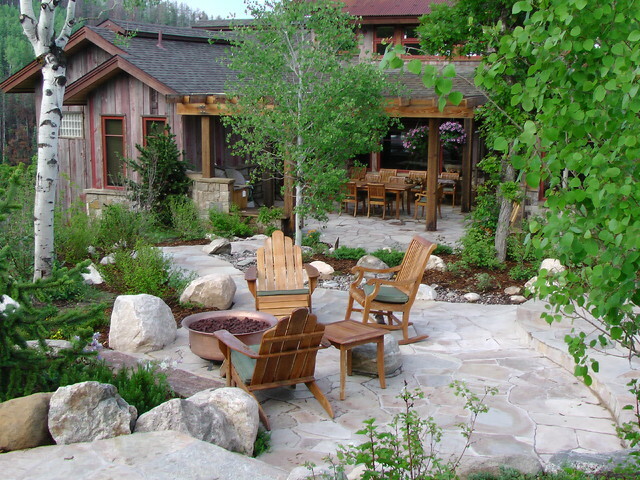 It offers consumers access to trained designers who can help them achieve the landscapes they truly desire. To learn more about APLD and its certification program, please visit www.apld.org. This entry was posted in People on January 7, 2019 by admin. 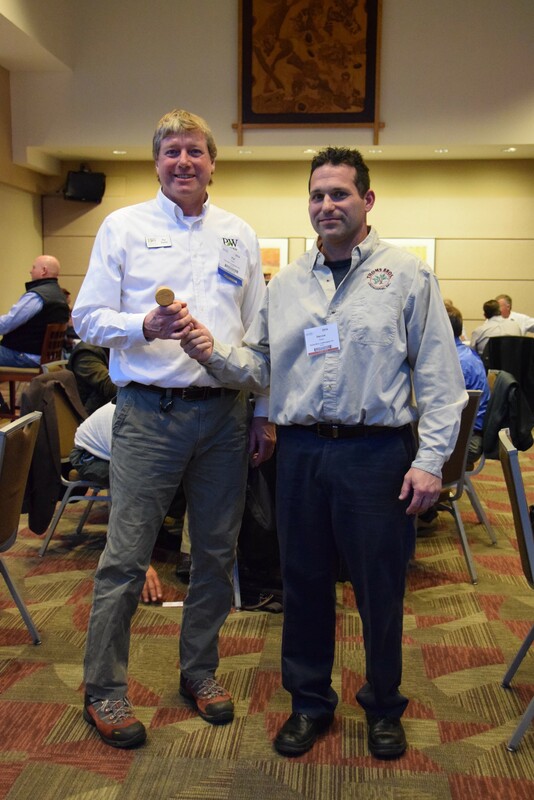 On January 26th, at the Great Lakes Trade Exposition (GLTE), Steven D. Thoms, CGIP, APLD, CLP handed over the gavel as President of the Southeast Michigan Nursery and Landscape Association (SEMNLA) to Pat Seibel of Four Star Greenhouse. 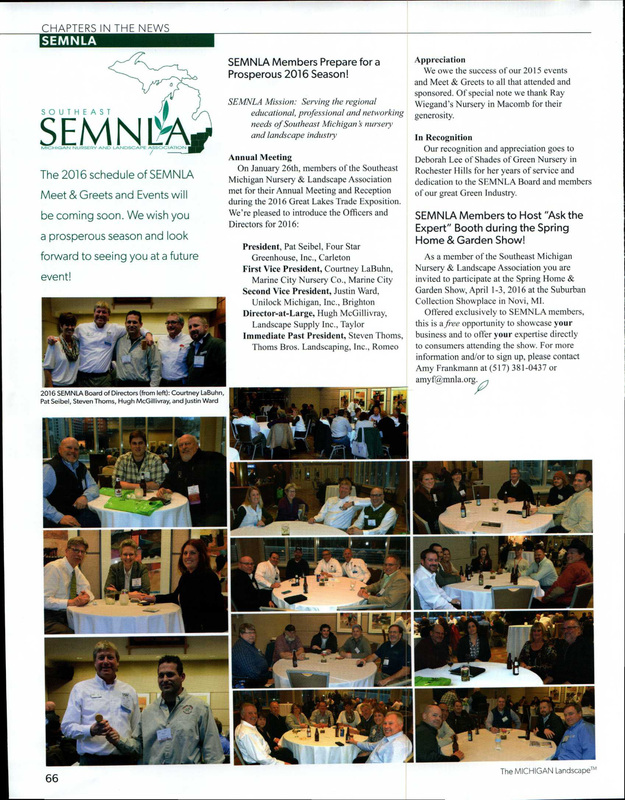 SEMNLA Mission: Serving the regional educational, professional and networking needs of Southeast Michigan’s nursery and landscape industry. SEMNLA’s current board pictures: from left. 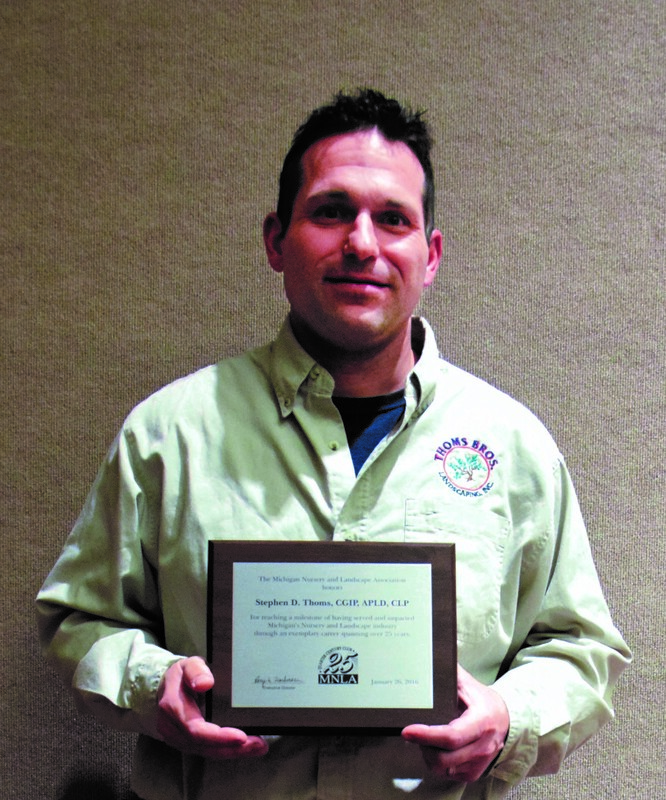 Immediate Past President, Steven D. Thoms, Thoms Bros. Landscaping, Inc.
Director-at-Large, Hugh McGillivray, Landscape Supply Inc. 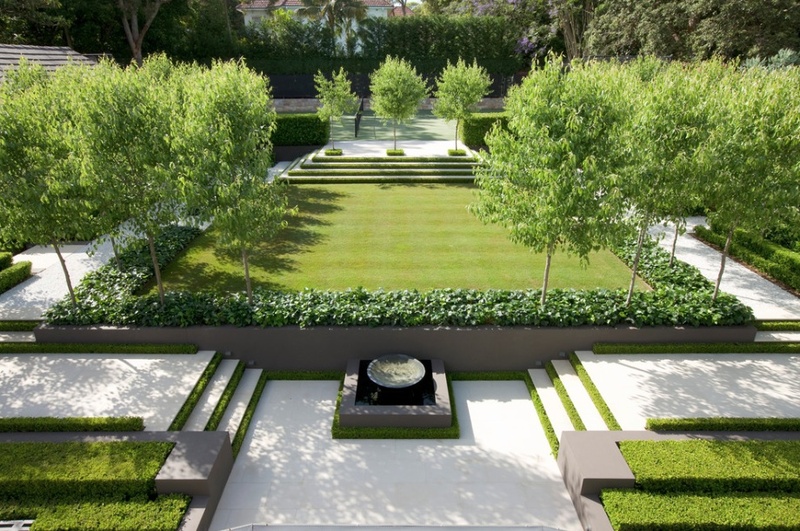 This entry was posted in People, Uncategorized on March 4, 2016 by admin. On January 26, 2016 at the Great Lakes Trade Expo (GLTE), Scot F. Thoms and Steven D. Thoms received their Quarter-Century Club Award and Mike McCarrey received his 40-Year Club Award from the Michigan Nursery and Landscape Association (MNLA). 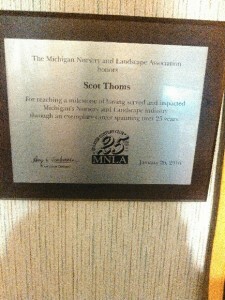 Before starting Thoms Bros., Scot F. Thoms had another landscape business in which he started in 1985 giving him 26 years in the industry. 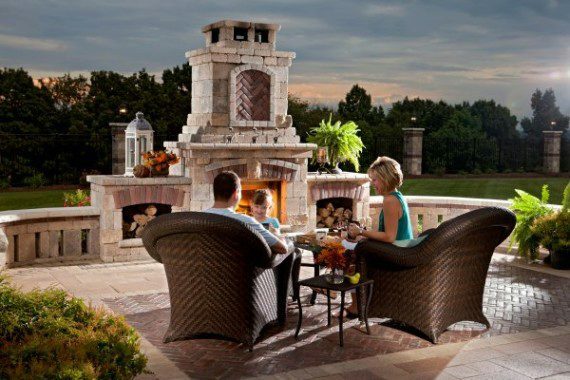 Steven D. Thoms, CGIP, APLD, CLP, Vice President and Chief Designer, started Thoms Bros. with President, Scot F. Thoms way back in 1991. 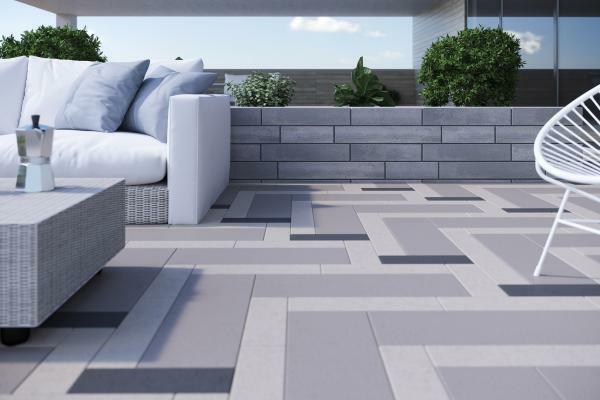 Michael P. McCarrey, Senior Project Manager, started with Thoms Bros. in early 2015. 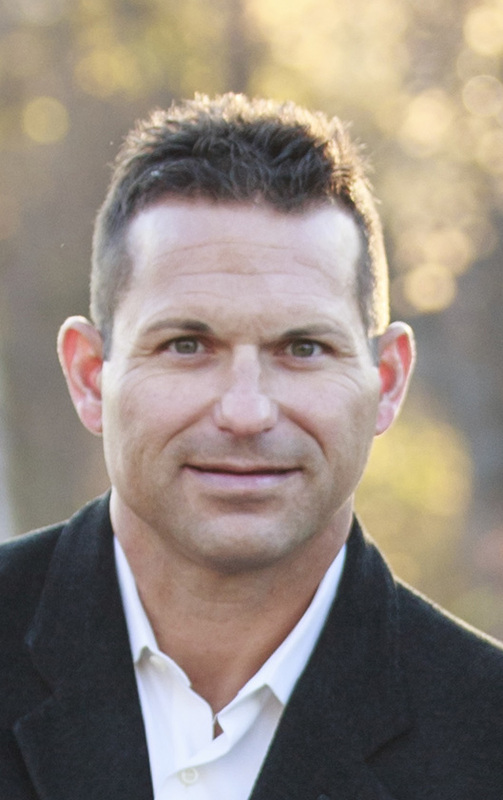 Mike joined our team after a long and prestigious career in the green industry working for some of the areas most well know and respected companies. He blessed us by filling the void after our longtime SPM, Roger Vandamme retired. 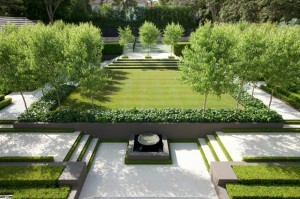 We look forward to another successful season with him running the installation crews. 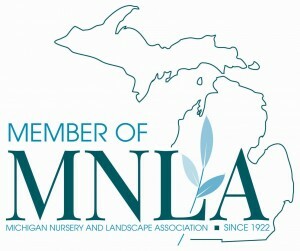 The Michigan Nursery & Landscape Association (MNLA), established in 1922, is the largest and oldest statewide Green Industry trade association. 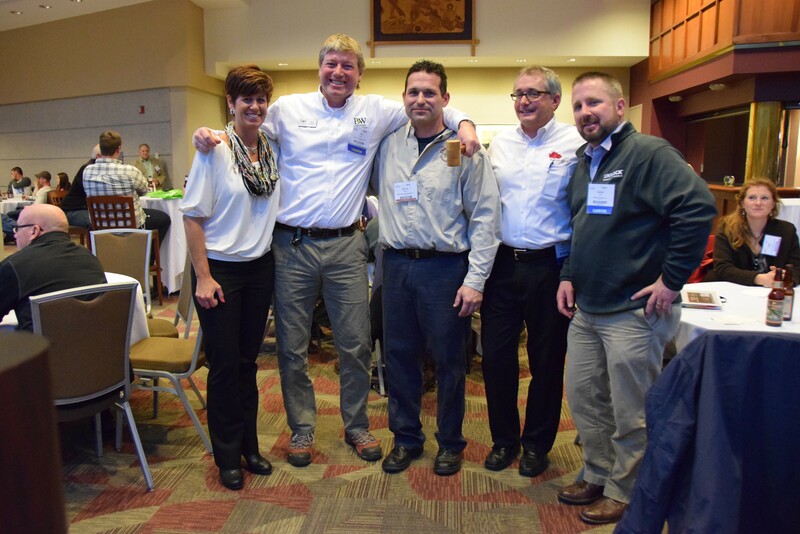 MNLA Represents: A wide range of Michigan Green Industry businesses on legislative and regulatory issues, education and events, certification programs, marketing and promotion, and member-only money saving programs. This entry was posted in People, Uncategorized on February 26, 2016 by admin. 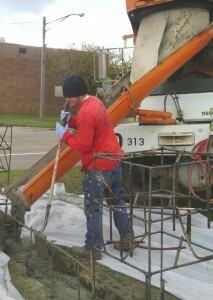 Mitchell Thoms started working with Thoms Bros. at an early age 6 years ago. 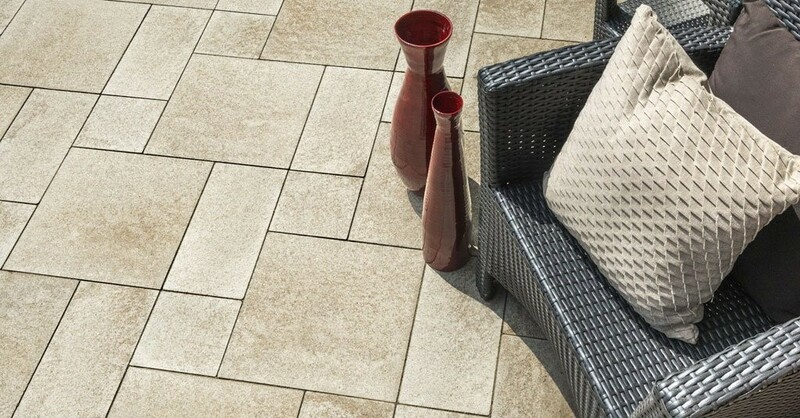 His career in the Green Industry started out just as a “job” to make spending money. His original goal after high school was to go into the biomedical field. 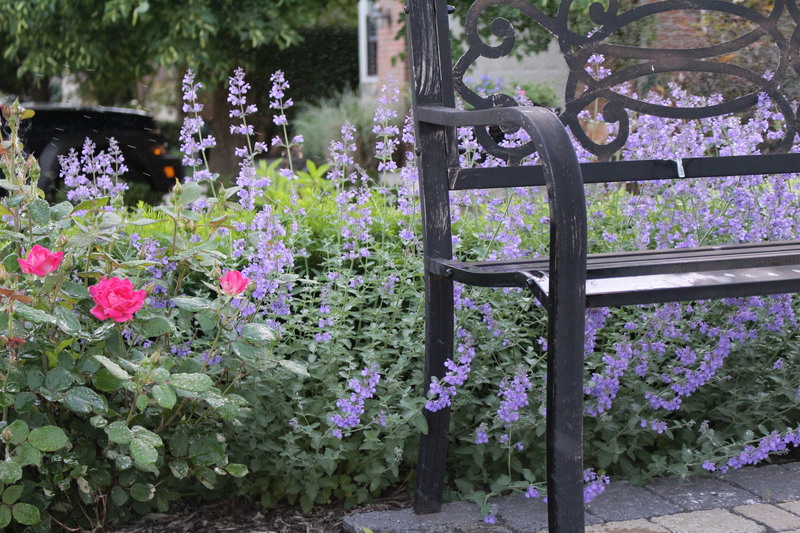 After several semesters, he decided to follow his passion and stay in the family business. In the fall of 2012, Mitchell entered into the landscape horticulture program at Oakland Community College in Auburn Hills. In the spring of 2014, he earned his Associates in Applied Science from O.C.C. He plans on attending Walsh College in the future for his Bachelors in Business Administration. Mitchell’s talents and responsibilities at Thoms Bros are vast. 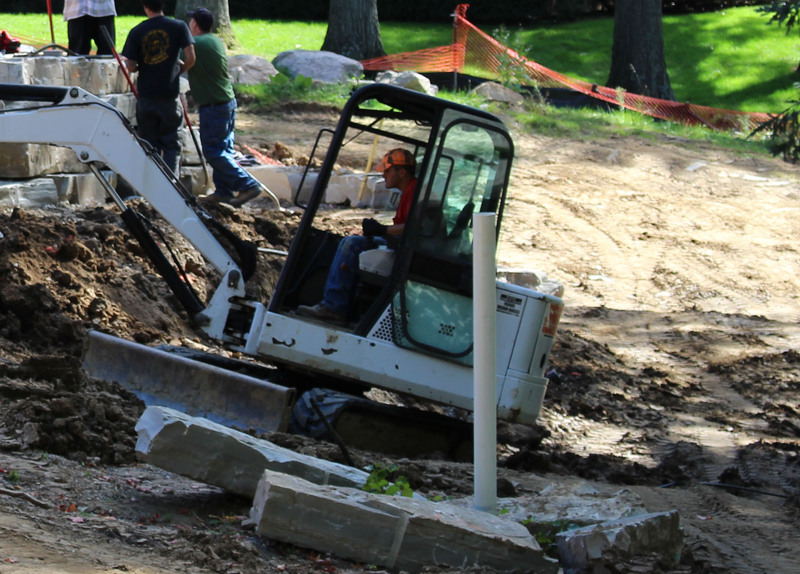 He leads shrub trimming and small landscape installation crews; operates excavators, skid loaders and other equipment; takes on a huge role with larger install crews on big jobs; and, is the lead person on Thoms Bros’ new venture, StoneMakers. 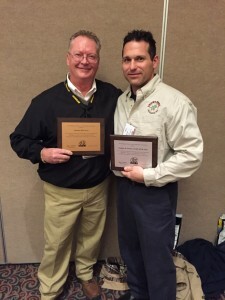 Mitchell has been involved in several training events for StoneMakers; traveling to New Hampshire and Florida. In the Winter of 2015, Mitchell earned is Interlocking Concrete Pavement Institute (ICPI) Certification for Concrete Paver Installation. 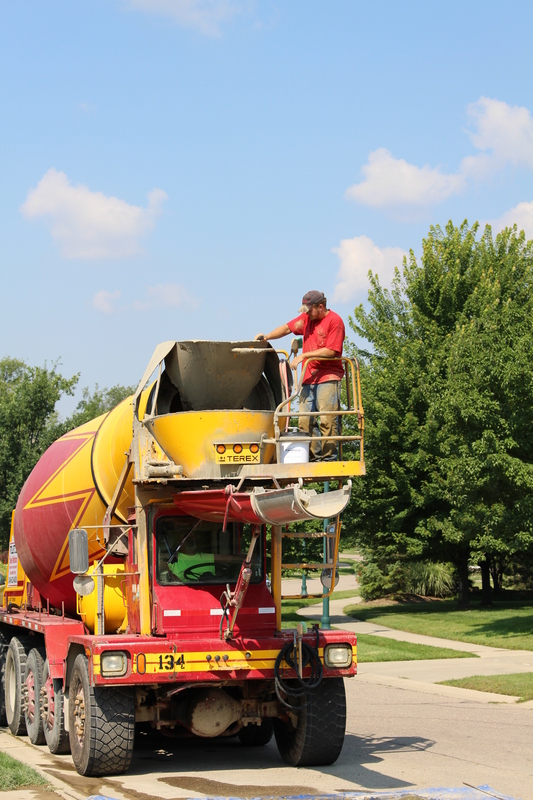 His other goals include earning his Certified Green Industry Professional (from MNLA) and Landscape Industry Certified Technician (from PLANET) recognitions in the near future as well as attaining his CDL. This entry was posted in People on March 18, 2015 by admin. 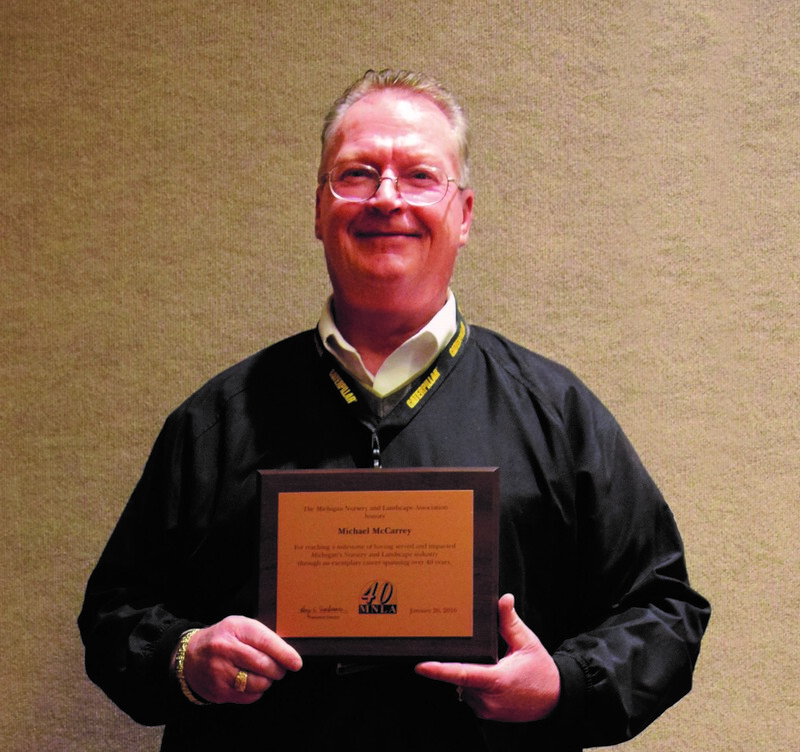 Steven D. Thoms, CGIP, APLD, CLP, Vice President and Chief Designer, was announced on January 27, 2015 at Michigan Nursery and Landscape Association’s annual Great Lakes Trade Expo as SEMNLA’s next President. The Southeast Michigan Nursery and Landscape Association (SEMNLA) Chapter was established as a Federated Chapter of the MNLA. 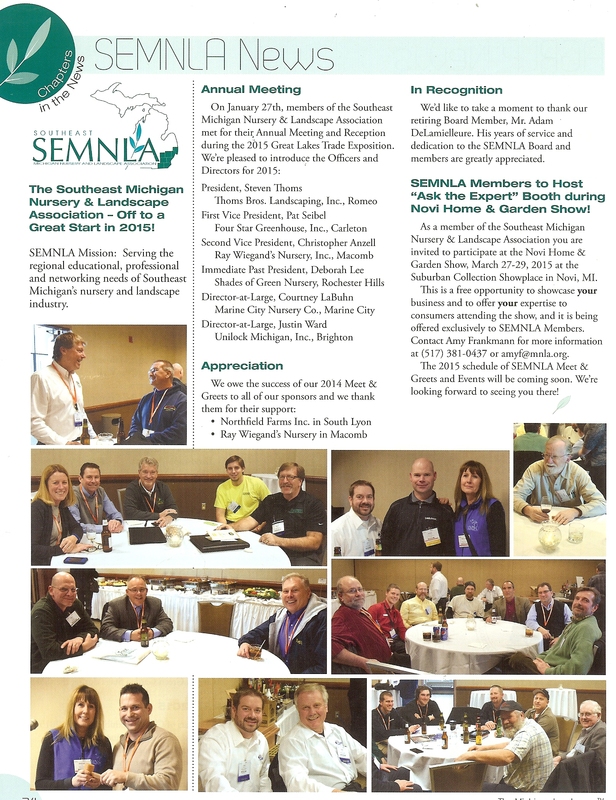 The SEMNLA Chapter serves the counties of Lenawee, Livingston, Macomb, Monroe, Oakland, St. Clair, Washtenaw and Wayne. 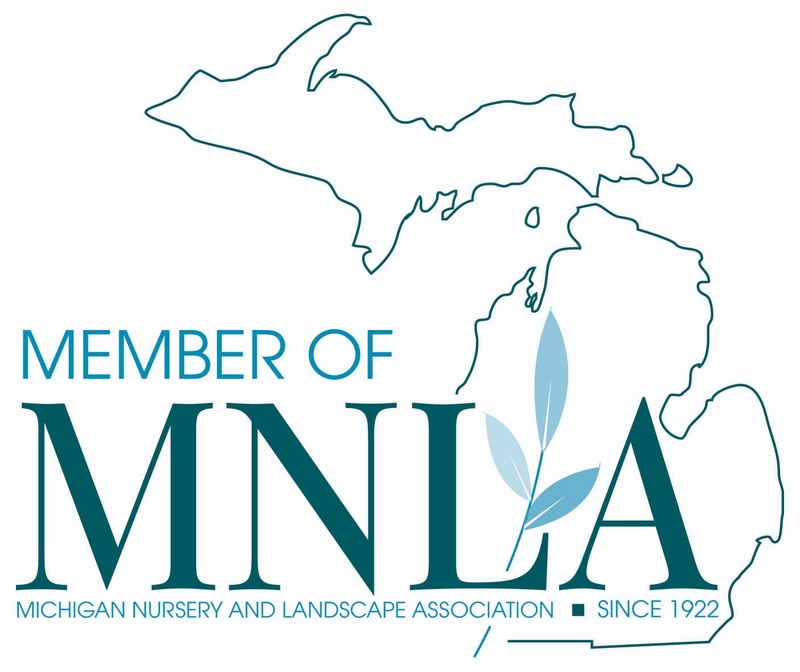 SEMNLA’s Mission Statement is to “Serve the regional educational, professional and networking needs of Southeast Michigan’s nursery and landscape industry. 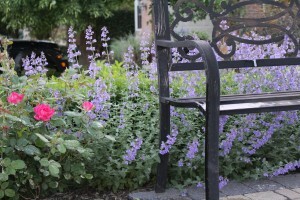 To learn more about SEMNLA please visit www.semnla.org. This entry was posted in People on March 7, 2015 by admin.